The “Purim Story” is derived from the Book of Esther, or “Megillat Esther”. The dramatic events that form the basis of the Purim celebration are described in a prior blog on the History of Purim. Today, we wanted to focus on some of the customs surrounding this holiday, particularly those that entail the special foods eaten during the happy Purim feast and the Mishloach Manot (Hebrew) or Shalach Manot (Yiddish). This year, the Purim celebration begins on Wednesday, February 28th and ends on Thursday, March 1st. Literally translated as “sending of portions”, the Misloach Manot is specifically mentioned in the Book of Esther: “…. Therefore do the Jews of the villages, that dwell in the unwalled towns, make the fourteenth day of the month of Adar a day of gladness and feasting, and a good day, and of sending portions to one another. …” Thus, one of the traditions of Purim is to send gifts of food and drink to friends and family. Anyone above the age of Bat Mitzvah (12 years old for girls) or Bar Mitzvah (13 years old for boys) is expected to participate in the Shalach Manot. The foods must be ready-to-eat and there must be at least 2 types of food included (that is, food that requires different blessings from each other). The obligation is to send to one person, but most people send gifts to many. It is also customary to use a 3rd party messenger to give the gifts since Misloach or Shalach means “to send” rather than “to give”. That’s why we at Manhattan Fruitier offer a line of gifts for Purim that we can deliver for you! We have four Mishloach Manot ideas that should please anyone on your gift list. Each of our Purim baskets contains the essential food that most embodies the meaning of this holiday: hamantashen! 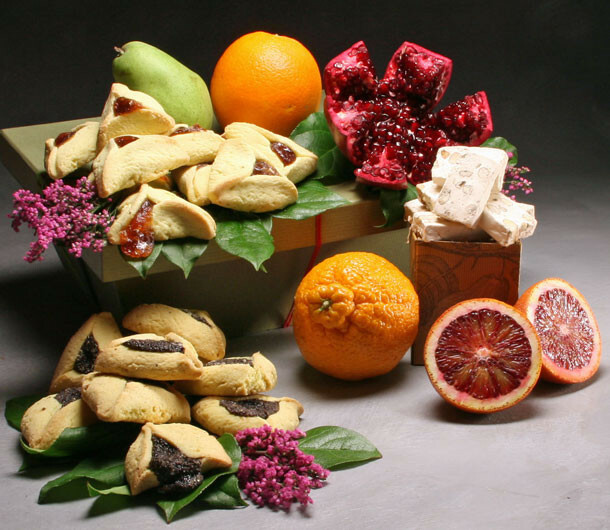 Hamantashen is a three-cornered or triangular shaped pastry that is folded to disguise (not completely, but partially) the sweet fruit-based fillings inside. Most Misloach manot ideas would include hamantashen. Our baskets for Purim include both the traditional poppy seed hamantashen as well as apricot, and they are both Kosher. If you already know the story of Purim (if not, you can refer to our blog on the History of Purim — see link above) you will know that Haman was the evil Prime Minister of the King of Persia, who was married to Esther. Haman plotted to massacre the Jews but was thwarted by Esther. Hamantashen (Yiddish) is literally translated as “Haman’s hat” or “Haman’s pocket”; in Hebrew it is called Oznei Haman meaning “Haman’s ears”, and these little pastries do resemble these items. The word tash in Hebrew means “weaken”. It may be that eating hamantashen or “weakening Haman” symbolizes the many incidents described in the Megillah where the tables are turned on Haman. For example, Haman was once strong and in the king’s favor, then he was out of favor with the king and became weak; Haman wanted royal robes and to ride the streets on a royal horse, but Mordecai ends up being given that privilege; Haman was once the Prime Minister, then his nemesis Mordecai was given his position; Haman once owned property, then Queen Esther inherited it; Haman once plotted to kill the Jews, and then he and all his family were killed, etc. Another interpretation is to show that something bad and evil can be turned into something sweet. The way hamantashen is made also reflects one of the core themes of Purim. The sweet goodness of the filling is hidden inside the pastry, the same way that Esther’s true identity as Jew was disguised, and the same way that it is said all the miracles of Purim directed by God were concealed. It is also typical that ideas for Shalach Manot include wine! Since Purim is a joyous holiday it should come as no surprise. Wine always adds a celebratory note to any festive event. But there are several possible explanations that come from the Talmud and the Story of Purim itself. The Book of Esther distinctly states that the Jews rejoiced at Purim by drinking. The Talmud also says that on Purim, one is to drink to the point of not being able to distinguish between “cursed is Haman and blessed is Mordechai”! However, the Talmud also says that drinking should be moderate so as not to get so drunk as to break any of the commandments. 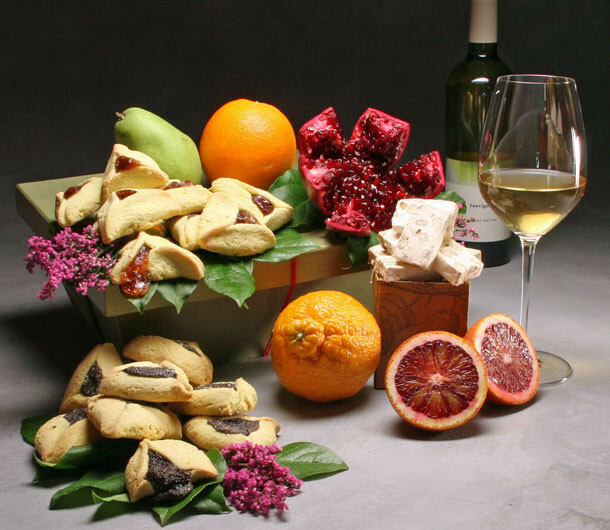 In accordance with tradition, then, we have paired each of our Purim baskets with a delicious wine. The wine in our Misloach Manot baskets are all Kosher and are imported from Galilee, Israel. We offer both a dry, full-bodied red wine (Alon, 2012 from several varietals) and a crisp and citrusy white wine (Sauvignon Blanc, 2016) from the Galil Mountain vineyard. When reading the Megilla or the story of Purim, it is common practice to use a noisemaker or stomp one’s feet every time the name of Haman is spoken, as if to expunge him the way he wanted to wipe out the Jewish race. Dressing up in costumes and/or masks is another Purim tradition. While the entire Book of Esther does not mention “God” at all, it is believed that God was actually guiding the way at every point in the story. In other words, God’s miracles were hidden from Esther and Mordecai. And Esther hid the fact that she was Jewish from the king who wanted to marry her. Dressing up may also reflect the dressing up in royal garb as Esther did as Queen and as Mordecai did when he was honored by King Ahasuerus. So disguise is an underlying premise of Purim. Finally, it is expected that one will give to charities during the Purim holiday. Matanot L’evyonim or “gifts to the poor” are usually in the form of money and typically it would be the amount that would be spent on a meal. Alternatively, one could also send a meal. It is required to give the Matanot L’evyonim to at least two people, but often people choose to give to many in need. Chag Purim Sameach or “Happy Purim”! What is “natural wine?” Natural wines have no governing body or official accreditation, but hold themselves to the strictest standards. Many natural winemakers practice aspects of biodynamics and all are at least farming organically. There’s an argument that wine is inherently unnatural. We are, after all, just hitting pause on the life of some grape juice that wants to turn itself into vinegar. 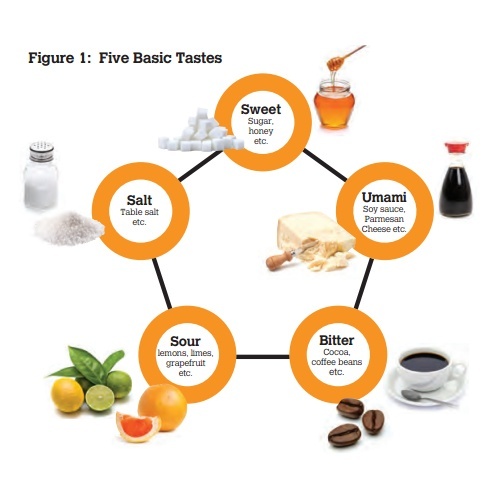 It’s worth noting that over 50 additives and processing aids (such as non-wine sugar, various acidic chemicals, beet juice for sweetness and color, something called MegaPurple, oak essence to mimic barrel aging, etc.) can be added to wine in the US and EU without listing them on the label. This fact alone might make you more interested in natural wine. Wine, to us, is about conveying a sense of place where the grapes are being grown, or terroir. The more unobstructed the grape, the better the wine. The best way to consider natural wines is to start with the notion of zero pesticides and zero additives, and go from there. What can be added to wine and still be natural? What does it mean to grow grapes organically? It’s important to remember that all farming was organic before inorganic methods were an option. The industrial revolution saw the development of these methods in the form of tractors, hybrid seeds, and synthetic pesticides and fertilizers. Organic farming as it’s known today is a direct response to those synthetic methods developed in the early 1900s. An example that is often used is Roundup, a popular herbicide that is allowed by some regulatory boards such as California’s “SIP Certified” (SIP = Sustainability in Practice). There’s also the “Bordeaux mixture,” a fungicide made of copper sulfate and calcium hydroxide, that is permitted by all except natural winemakers who are only self-governed. I can’t imagine that spraying copper in the vineyard is a great way to encourage more microbiological activity in the soil. It’s worth noting here that many organic vineyards and farms that are farming organically, particularly the smaller ones, are choosing not to be certified organic because it’s a costly and cumbersome process. Their grapes are no less organic than a certified grape. It’s founded on a holistic approach to a self-sustaining micro-ecosystem with perfectly balanced microbial life, soil, grapevines, livestock, insects, and other plants. The essential principle is that more life in the vineyard and more microbiological activity in the soil will naturally lead to happier and healthier grapes. Bruno Allion Vin de Gamay. Demeter is the only biodynamic certifying board in the world. Some smaller producers who are farming biodynamically using wild yeast and adding a tiny amount of sulfur at bottling, may not be able to fork over the money necessary for Demeter certification, especially when they’re starting out. Wine can be made from grapes alone without the addition of anything else. So, is it okay to add yeast during the wine making process? The short answer is “no.” Yeast is an invisible fungus that consumes the sugar in the grape juice and releases alcohol as a by-product, along with complex flavor compounds. Natural wines are made using the yeast that naturally occurs in vineyards and on the grapes. This indigenous yeast is the foundation of natural wine making because it is part of the terroir, or natural environment, which includes the soil, climate and topography. The decision to introduce foreign yeast into the wine making process severs the relationship between the wine and the place the grapes were grown. This means the terroir is not being expressed in the wine when you drink it. What does a natural winemaker look like? Meet Beatrice & Pascal Lambert. They founded their Domaine in 1987 in the Loire Valley near the town of Chinon, in the region of the Touraine, or the “garden of France“. Beatrice and Pascal have been carefully cultivating Cabernet Franc and Chenin Blanc on approximately 25 acres (soils range between sand and gravel deposits, limestone-clay soils and flint based clay soils) and the estate has been practicing organic viticulture and biodynamic preparations since 2005, becoming certified in 2012. With their draft-horse Isis, they plow the rows between the vines, planting each year different cover crops to assist in the uptake of the biodynamic preparations while adding back nutrients for the following season. They closely follow the lunar cycle from vineyard to cellar, only using indigenous yeasts with fermentation occurring in concrete or wooden vats. They mature and age their wines according to the different terroirs using concrete and wood vats. They also rack and bottle according to the lunar cycles as well. Their success as growers and natural wine makers is based on accentuating the purity of the terroir from which their vines come as well as elaborating on their personalities in the cellar. In conventional wine making, sulfites may be added during various stages of wine making to control risk factors inherent in wine production. Sulfites are useful for slowing oxidation and knocking out harmful bacteria, and are a common preservative found in wine. However, natural wine makers believe sulfites mute the nuances of vintage or vineyard. Significantly, there are naturally occurring sulfites in wine that aid the natural wine maker. Added sulfites are one of the key distinctions between commercial and natural wines, but it’s not all or nothing. Some natural producers will not add any sulfites at all, while others will add a dash at most, usually at the bottling stage. For natural producers, the decision to add even a dash of sulfites is an economic decision related to the quality of a vintage, ripeness of grapes when picked or worries about transportation or storage. How much sulfite can be added to still be considered “natural”? In order for a wine to be USDA certified organic, the grapes must be grown organically and no sulfites can be added to the wine. By the current USDA Organic Standard, any wine, foreign or domestic, can contain only naturally occurring sulfites (less than 10mg per liter) to be marketed and sold as an “organic wine”. In the US, naturally occurring sulfur dioxide (which is often at undetectable amounts) is permitted, but not in excess of 20 parts per million (or “ppm”), which is the same as 20mg per liter of wine. Wine “made with organic grapes” can have the addition of sulfites up to 100 ppm, but are generally much lower (around 40 to 80 ppm). In contrast to the US, in the EU, organic wines can have up to 150 ppm of added sulfites. 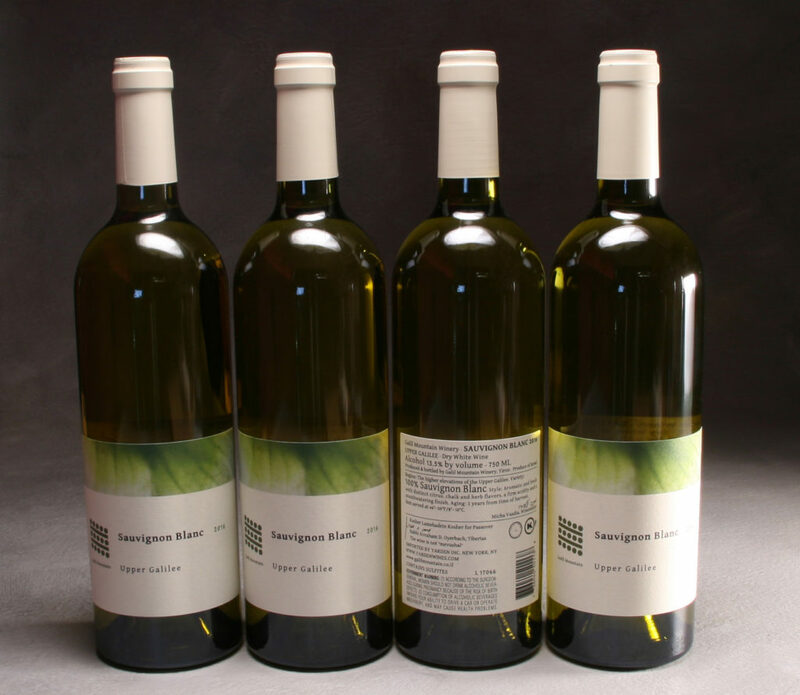 Whether sulfites are naturally occurring in the grapes or added by wine growers and producers, all wines containing more than 10 ppm must state “contains sulfites” on the label. Just to put this in perspective, industrial wines can be as high as 350 ppm, way more than any natural wine maker would consider adding. Side note on sulfites: According to the Cleveland Clinic, only asthmatics are predisposed to have a reaction to sulfites, and even then it is only 1-5% of all asthmatics. Luckily, for those select few, we do now have delicious wine made without the addition of any sulfur whatsoever. However, if you don’t think twice before eating a couple of raisins (which can contain sulfites well exceeding 100 ppm in one serving), then the addition of 70 ppm of sulfur at bottling should be of no concern. Remember, conventionally produced wines can have up to 350 ppm. Our final take on added sulfites and natural wine: the addition of a dash of sulfites at bottling does not disqualify a wine that is otherwise made from organic or biodynamically grown grapes from being considering a natural wine. In the EU, natural wine advocate Isabelle Legeron has set limits for added sulfites for her RAW Wine Fair: 70 ppm of added sulfites for natural wine (compared to 100 to 150 ppm for certified organic wine and 350 ppm for conventional wine). How do natural wines taste? Some natural wines just aren’t very good. Farming organically or practicing biodynamics doesn’t guarantee a quality wine. What it does ensure is that you’re ingesting something that is healthier for you than something produced from commercially farmed grapes that have been sprayed with herbicides and pesticides. But if it doesn’t taste good, what’s the point? There are two main issues that low intervention wines face in a finished product, both of which can have extremely varying levels of influence on the wine. The first one, volatile acid, is a result of bacteria in the wine creating acetic acid at any point in the wine’s fermentation process. Bacteria are everywhere, but they thrive with more oxygen and in warmer temperatures. Ethyl acetate can be described as a glue-like or nail polish remover smell. 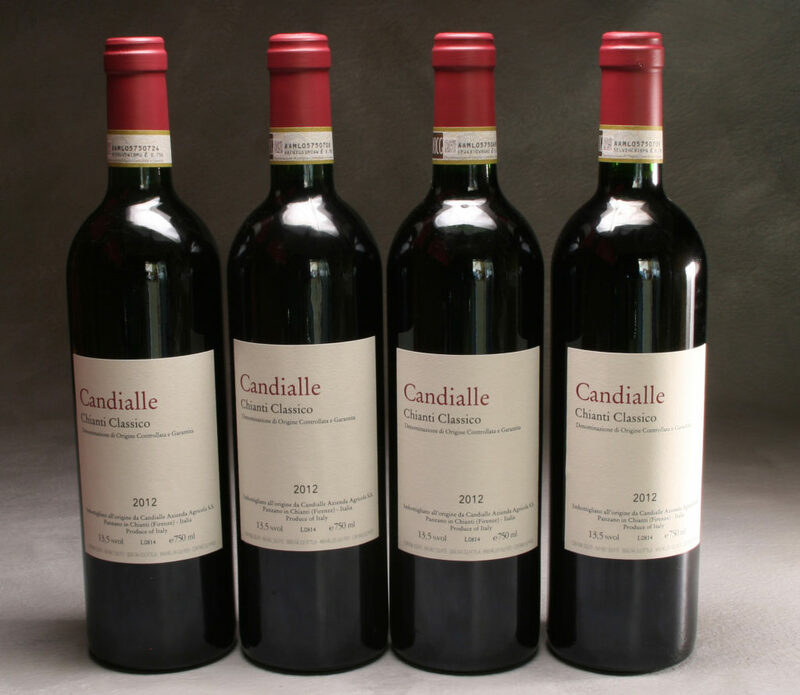 In small doses, under certain conditions, in certain wines and with certain foods, this quality is extremely desirable. The second pitfall of natural wines is a recently coined term, “mousiness.” Mousiness affects unsulfured wines, and is an infection caused by a strain of the lactobacillus bacteria family. It is something you can only detect on the finish, and is described as dog’s breath, sour milk or dead mouse. Yuck! However, it can be instantly stopped with the addition of a small amount of sulfites. Low intervention wines that avoid these two potential dangers can be mind blowing. They are not created to taste a particular way, but taste a particular way because of where the grapes come from, how the grapes are being treated and how little the winemaker has to do to alter the “sense of place” the grapes convey to us. If you taste enough, you can tell when a wine has been acidified, chaptalized (sugar added), or over-sulfured. The resulting wines are not harmonious. 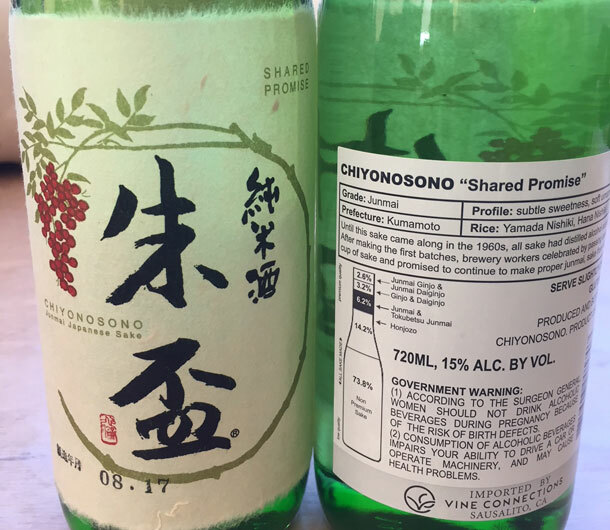 Natural wines that come together without additives can sing, tell a story, and take you on a unique journey you will never forget! Author’s Note: Working as the sommelier for Manhattan Fruitier, I curate a collection of natural wines from small producers around the world. Manhattan Fruitier will deliver Champagne and wine in New York State, including NYC, and Washington, D.C. Also for delivery in NYC and DC, I pair natural wines with Manhattan Fruitier’s gourmet gift baskets – cheese, cured meat, chocolates. Pretty much everyone will admit to discomfort, and perhaps even anxiety, when purchasing wine. And why not? There’s so much to know … so many varietals, so many wine regions, so many makers, and so many so-called experts. The important thing about wine is enjoying it! And there are many levels of enjoyment. For most people, it’s about liking what you drink. Knowing more about the wine may enhance your pleasure, but it’s not necessary. My advice is to enjoy it first and learn more about it if you think it will add to your pleasure. Fortunately, you have a lot of resources for good and great wine here in New York State, and particularly in NYC. Whether it involves eating out at a restaurant or having wine delivered to your New York or NYC home or work, there is no shortage of opportunity to sample and enjoy wine. Talking about wine in a restaurant setting can be nerve wracking. In front of a date, family, friends, or colleagues it can be intimidating choosing a wine that will not only please everyone but will also be within your budget. The sommelier or server knows the wine list best and wants to please you. Remember, you pay the same for the wine whether you get a recommendation or not, so why not take full advantage of the in-house expertise? One additional benefit to choosing wine in a restaurant with the help of a sommelier is that you can often sample a couple of bottle selections if they are also offered by the glass. Even if you taste only one or two wines, your feedback will really help the sommelier recommend something you’d like or even love. Just so you know, even wine experts ask for wine recommendations when they go out to eat. The surest way to have a new and exciting wine experience is to ask the resident expert. For example, the owners of Manhattan Fruitier excitedly told me about a sommelier’s recommendation at NYC’s Boulud Sud of a bottle of 2015 Schäfer-Fröhlich Blanc de Noir Trocken, a lively, lightly fruited white wine made from Pinot Noir grapes. They were surprised and delighted by this unusual wine! A final note about ordering a bottle of wine in a restaurant: there’s a bit of psychology at play when wine lists are constructed. 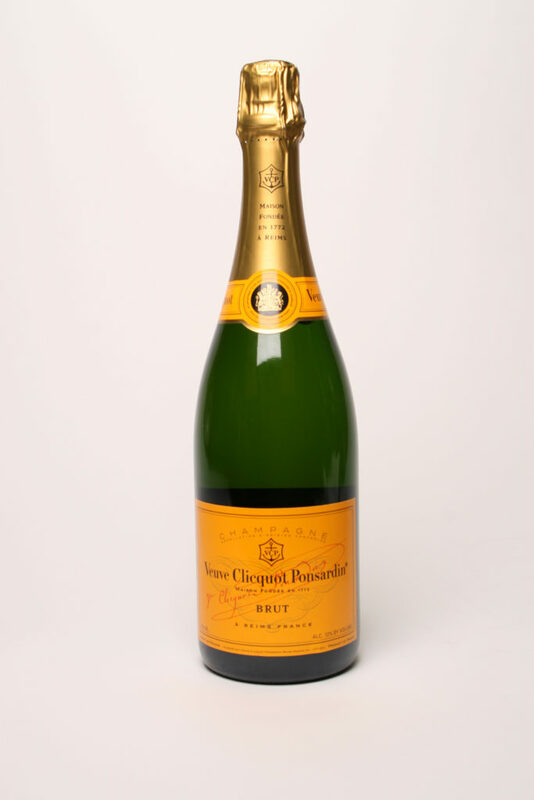 Diners don’t like to order the least expensive bottle on a wine list, so we tend to order the bottles in the tier just above the least expensive wine. Restaurants know this and often slot higher margin, low surprise wines in this group. If you can increase your budget slightly to get above this tier of wines, and then ask for a recommendation, you’ll likely be in for a nice surprise. Wine shops can also be intimating, and/or extremely hard to fathom. There are so many selections, even of the same varietal. How does one make sense of all the choices of unknown producers, unfamiliar grape varieties, and difficult to decipher labels? And the task is made no easier by the fact that Old World wines often have labels that do not indicate the grape variety. You’ll be missing out on some truly enjoyable wines if you choose only bottles that have eye catching labels. This is why you want to ask for a recommendation. There are incredibly knowledgeable people in wine shops across the country who love what they do and want to share bottles they think are delicious with you. And, they are just waiting for you to ask. It’s as easy as saying, “I’d really like to explore some new wines.” This will lead to a conversation about what you drink now and what you like and don’t like. The experience for a wine expert shopping in a wine shop is admittedly a little different. I’m like a kid at a candy stand when browsing the wine store. Even so, I’ll narrow it down to a couple of things I find interesting and then ask for advice. I almost always refuse assistance from a sales person while shopping for anything else, but with wine I always accept! Once you discover a few wines you like, it’s easy to stop in your wine store, in NYC or elsewhere, and order a case to be delivered to your home. I think the easiest way to start the conversation is to first set a price point and then talk about styles and characteristics that might interest you. The price point is important because it narrows the options the sommelier will consider, both on the high end and low end depending on your budget. Wine shops offer much gentler markups than restaurants, which is all the more reason to be more adventurous in your choices in a wine shop. You shouldn’t be embarrassed to request less expensive wines. In a wine shop, bottles starting at $10 to $12 can show a wine’s typicity (the degree to which a wine reflects the signature characteristics of the grape from which it was produced, i.e., how much a wine made with Syrah grapes reflects signature Syrah characteristics). At this price point, you are also beginning to see wines made from grapes grown in a specific area (i.e. the wine is made from grapes that all come from Monterey County, not simply California), and it is labeled as such. Red wines can be more expensive than white wines for the simple fact that red wines may spend a little more time in the cellar before bottling. Also, red wines may be aged in expensive oak barrels. For this reason, it’s more likely to find a white wine from a lesser known region that’s able to convey a sense of place than a red wine within the $10-$15 range. The $15-$20 range opens up many more doors. Eric Asimov, Wine Critic for the New York Times, thinks that $15 to $20 a bottle is the sweet spot for great wine values. You’ll find more than a few options from almost any region you can think of. Also at this price point, you’ll find producers who are consciously farming or sourcing grapes and making their wines with very minimal interventions in the cellar, allowing the grapes to show some terroir (or “sense of place,” encompassing the unique geology, topography, climate, plant and animal life as well as history and culture of people in the region). Wines over $20 should display even more of what a vineyard and producer can do. 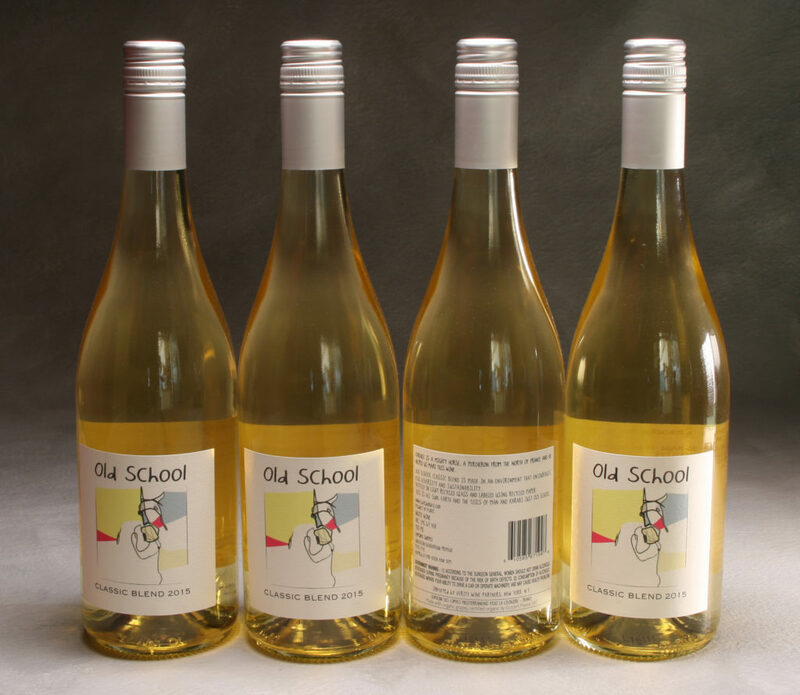 These wines should come from producers who have proven they make good wines consistently vintage after vintage. Scarcity also affects price, and smaller productions and more hand crafted wines will always be slightly more expensive. At Manhattan Fruitier, we offer wines ranging from the $20s on up. This is because we want to be sure that the wine a customer sends as a gift, either individually or as part of a wine gift basket in NYC, is exceptional. A note about very inexpensive wines: the wine industry, like the food industry, is basically divided between producers who make vast quantities of drinkable wines for cheap prices and those who make smaller amounts of wine with the intention of delivering wines that reflect the grape and their craftsmanship. Predictability and homogeneity in the cheaper wines is often achieved by mixing grapes from different vineyards, industrial farming of grapes, and the use of additives to eliminate variation from year to year. While there are sound wines below $10 per bottle, by paying a few more dollars a bottle, you’ll likely be rescued from boring wines and instead experience wines that are surprising and delightful. First, the good news: telling a wine expert the color or type of wine (red/white/rose/sparkling), price point and one or two characteristics that you like in a wine such as grape varietal (e.g. Chardonnay, Merlot or Pinot Noir) or taste descriptors (such as light or full-bodied, sweet or dry, oaky or no oak, or level of tannin) should be more than enough for her to give you something fun and delicious that she’s excited about. If not, you might be in the wrong store or restaurant. Because taste is always subjective, it’s helpful to share a common language to communicate your preferences helps. Your wine vocabulary will only get better with the more wines you taste and the more you talk about them with experienced tasters. Just knowing a few distinguishing characteristics of the wines you really like can help tremendously with making a good recommendation. The other easy way to ask for suggestions is to tell the wine steward about a specific wine you’ve enjoyed. If you tend to frequent the same wine shop or restaurant, feel free to share your impressions of wines they have previously recommended to you. For instance, “That Chardonnay you recommended last time was too fruity or too smoky.” Don’t write off Chardonnay just because you had a bottle you didn’t enjoy. There’s plenty of variation within wines made from the same grape varietals. Take pictures of wines you like (or don’t like) with your cell phone. Then the next time you’re shopping for wine you can remember what you liked and even show the label to the expert. You can do the same for wines you don’t like since this is also a good guide for what not to recommend. A quick note: You might be shocked by how much you paid for a wine in a restaurant, particularly more expensive NYC restaurants, compared to a retail wine store. Remember, there’s a lot that goes into serving a bottle of wine in a restaurant, and it’s no secret the wine and alcohol sales are critical to the financial success of many restaurants. Keep an open mind and be willing to try wines from different varietals and from different areas of the world. For instance, many non-experts have the opinion that German Rieslings are sweet because that’s all they’ve tasted. Well, there are some amazing dry Rieslings that may have you opening this wine again and again. Also, great wines are being made in unexpected places around the world: Sicily, Sardinia, Jura (France), Moravia (Czech Republic), Burgenland (Austria), and Corsica, just to name a few. 7. Free Wine. Why Not? Many wine shops have weekly wine tastings where you can discover something new. Free wine with the possibility of discovering a new favorite sounds like a good deal to me! I’ve assembled a highly curated selection of natural wines at Manhattan Fruitier. With fewer than 100 wines, you can be assured that any wine you choose will be exemplary and reflect the varietal, wine region and unique skills of a particular small wine maker. In addition to individual bottles, I have also paired Manhattan Fruitier’s artisanal food gift baskets with complementary wines so that the experience of both the food and the wine are enhanced. For example, I’ve paired the Farmhouse Cheese Basket with Brocard Chablis Sainte Claire 2015, a fine biodynamic white wine from Northern France, because it is an intense, mineral driven wine built to cut through the creamy cheeses while also having enough ripe lemon and green apple to stand up to the sweeter cheeses. Fortunately, our wines and wine gift baskets are available for delivery throughout New York State, including NYC.